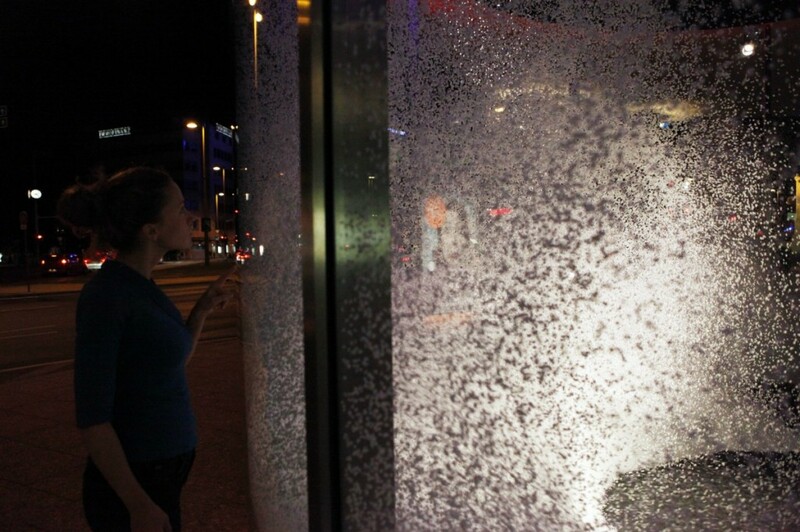 Particulate Matters is an installation by Birgit Graschopf located at Karlsplatz opposite the Secession in Vienna. "Particulate Matters puts something into perspective that hardly no one takes notice of”, the artist describes the installation, referring to particulate in the history of photography, Marcel Duchamp and Man Ray as well as fine dust from nearby streets. 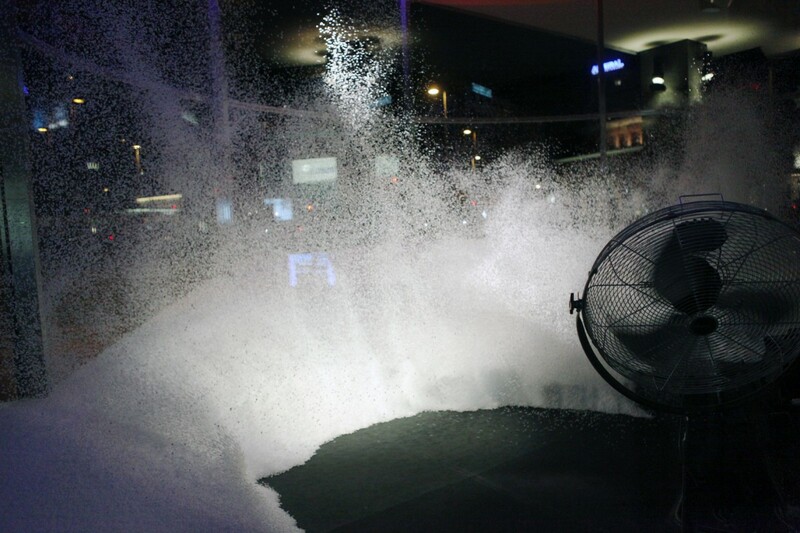 A showroom is filled with wind-machines, ventilators and thousands of polystyrene balls. 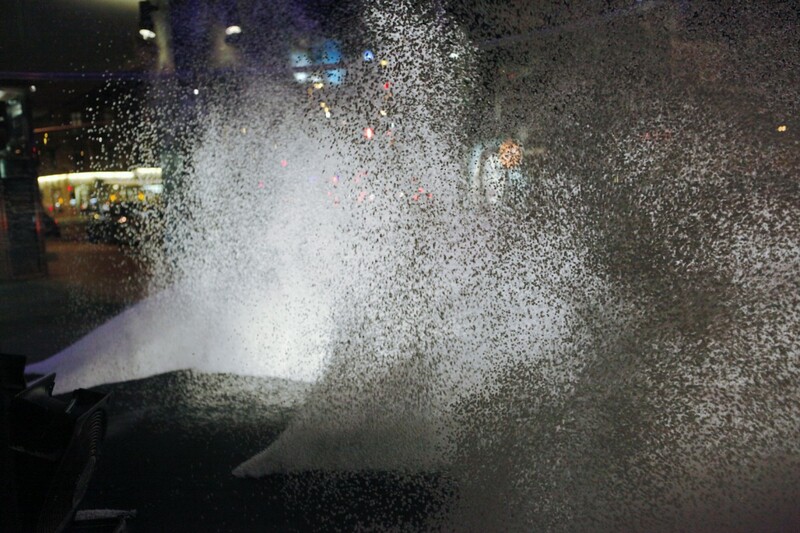 All elements beautifully interact with each other creating an "arrhythmic snowstorm" to the observer. In order to enable interaction between the human observer and the wind-machines, motion sensors were placed outside the room. 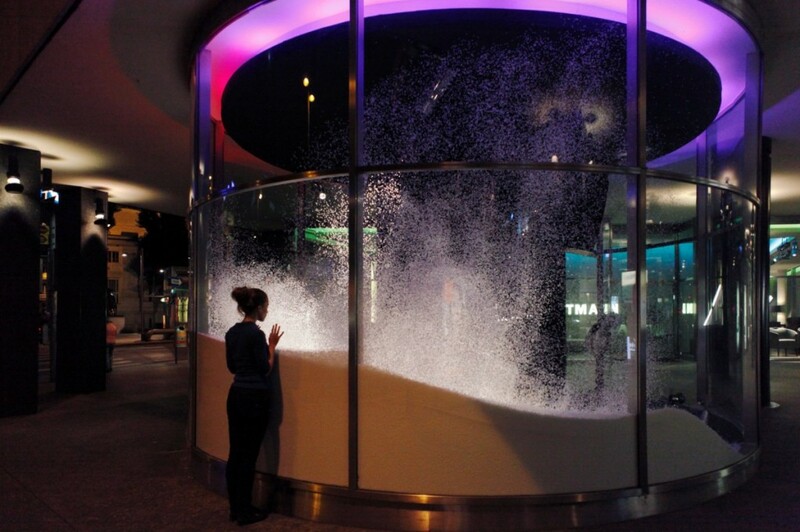 Every time a person passed by or approached the installation, random impulse of wind would swirl up the particles. The heart of the installation constitutes a Raspberry Pi and an Enttec DMX node that controls the wind-machines and the ventilators. Additionally, an RTC (real-time clock) was installed to control the wind impulses following specified time intervals. The programme was written in Java, with Pi4J to read the motion sensor and artnet4j to transmit the DMX data to the node.